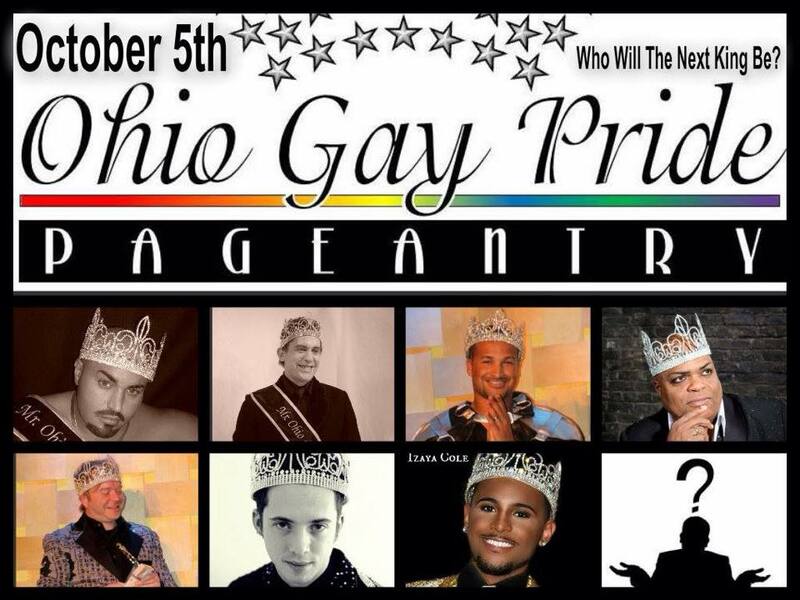 The Mr. Ohio Gay Pride Pageant is owned by Marc Offenburger out of Columbus, Ohio and holds city prelims throughout the state prior to the competition held usually in October of each year. 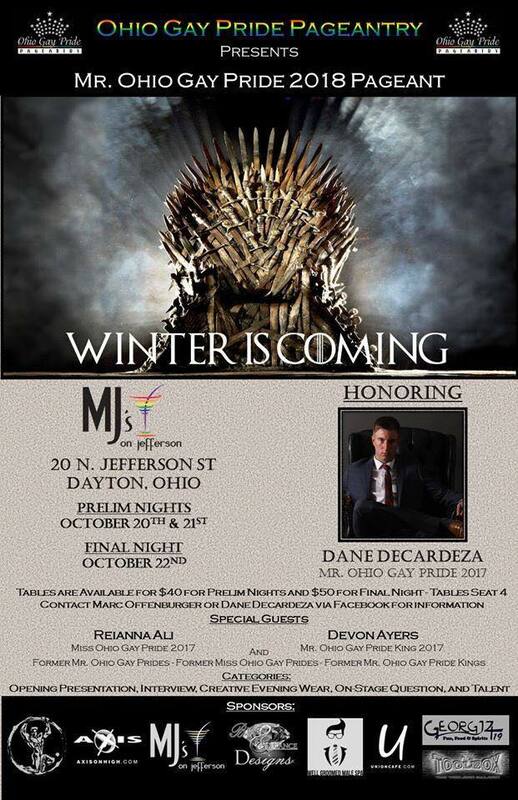 The Mr. Ohio Gay Pride 2018 pageant was held at MJ’s on Jefferson in Dayton, Ohio. 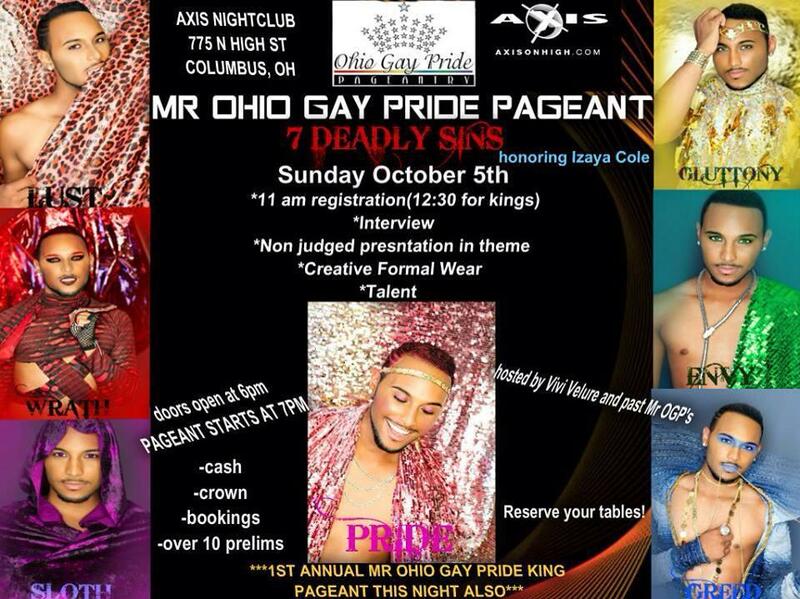 The Mr. Ohio Gay Pride 2017 pageant was held at Axis Night Club in Columbus, Ohio. 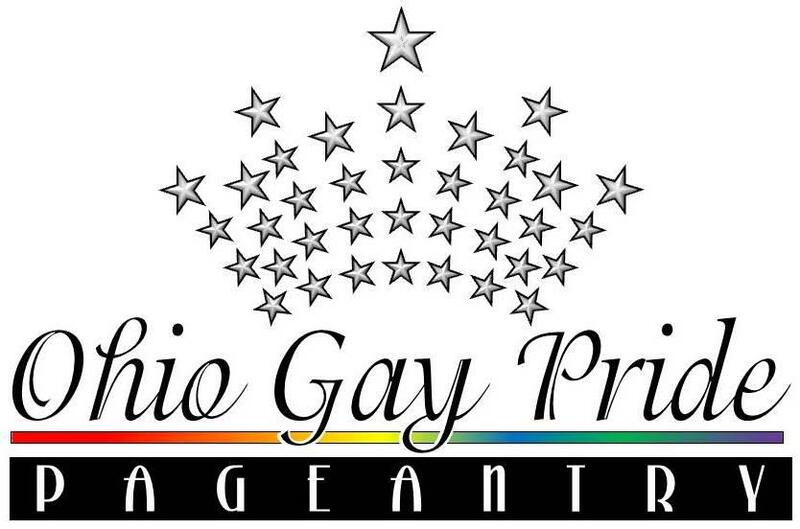 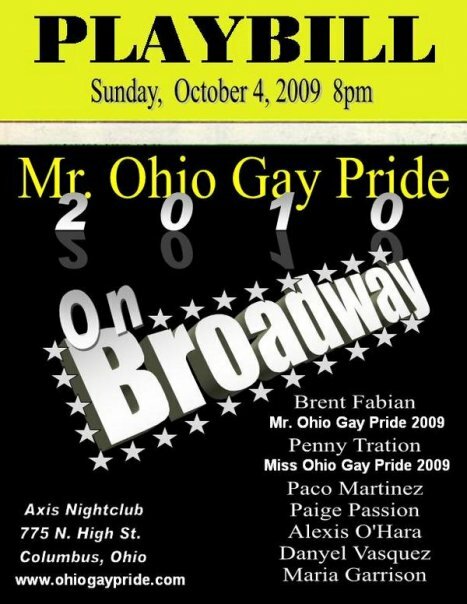 The Mr. Ohio Gay Pride 2016 pageant was held at Axis Night Club in Columbus, Ohio. 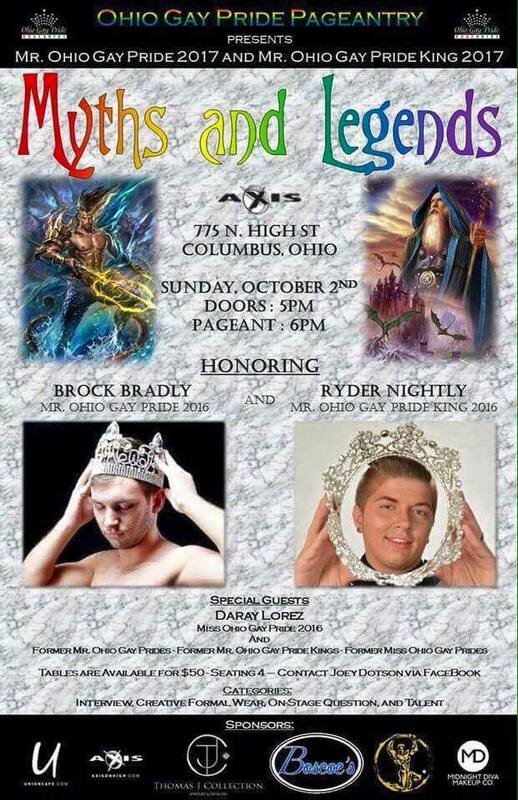 The Mr. Ohio Gay Pride 2015 pageant was held at Axis Night Club in Columbus, Ohio on Sunday, October 5, 2014. 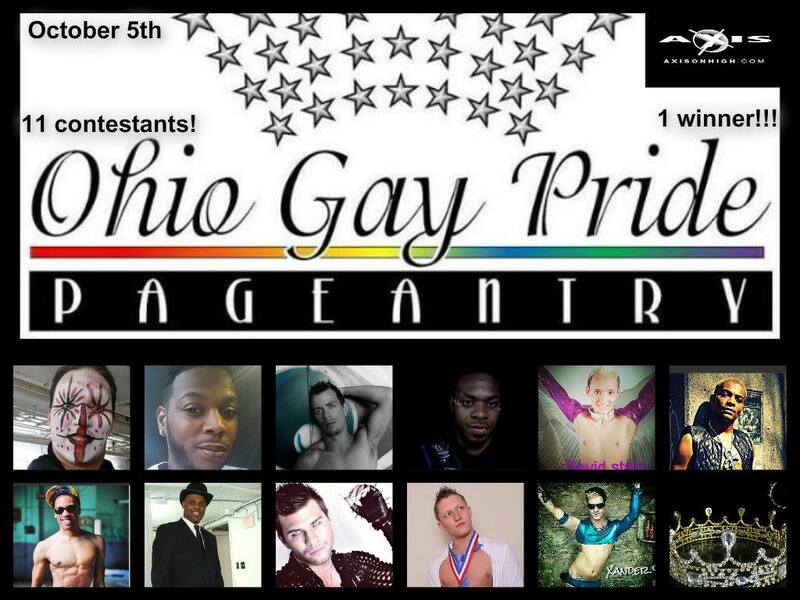 The Mr. Ohio Gay Pride 2014 pageant was held at Axis Night Club in Columbus, Ohio on Sunday, October 6, 2013.